Getting a ticket dismissed through attending defensive driving classes may be somewhat stressful. However, if you follow our six steps found below, it is a breeze. Step 1: Are you eligible to take a defensive driving class? Step 2: Ask the Court for permission to take the defensive driving course. Tell the court appointee that you are enrolling in our defensive driving course, approved by TEA (TEA School #: C2663-4 TEA Course Provider #: CP342) and get their approval. Step 3: Obtain a current copy of your personal driving record for the court. If you order with the online ordering system at our site, you will receive your driving record in one day or less. We will have your certified, official 3A DPS driver record sent out via UPS, USPS or email. Step 4: Enroll in a Texas online defensive driving course. Improv’s defensive driving course in Texas is approved by the Texas Education Agency (TEA) for insurance discount and ticket dismissal purposes. 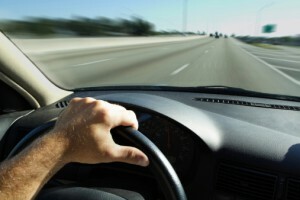 This driving course will fully satisfy your requirements for court. It will also remove points from your driver’s license that have resulted from a traffic ticket. Step 5: Complete the online course. Four VIP tickets to the Improv Comedy Club (a $60 value!) and even more! Step 6: Submit your defensive driving course completion certificate and driving record to the court. After you complete the course, we will process your certificate the same day.